In the following post, you will find the overview of the most robust Magento 2 multi-vendor marketplace extension – Unirgy uMarketplace Suite. The Magento 2 marketplace module adds Vendor Portal – a section where your sellers (vendors) can easily add and manage their products, edit inventory, fulfil orders, and interact with buyers. Although all these features seem to be common with other Magento 2 multi-vendor extensions, Unirgy pushes the idea to a completely new level. Check the following post to discover all extension’s features and competitive advantages over other similar products. 1 year of free support. Why is Unirgy Magento 2 uMarketplace Suite so unique? Because of add-ons, but before describing them, let’s take a look at core extension’s features in more details. 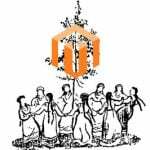 First of all, it is necessary to mention that the ability to create a multi-vendor Magento 2 marketplace doesn’t mean that your customers will have to deal with multiple catalogues only. The Unirgy uMarketplace Magento 2 multi-vendor extension supports both individual vendor catalogues as well as one multi-vendor catalogue with all products sold on your ecommerce store. Furthermore, buyers get a simplified shopping experience, since this Magento 2 marketplace extension provides a single checkout procedure for items from multiple sellers. As a result, a customer gets multiple shipping origins per order. In their turn vendors also get lots of benefits from using Unirgy Magento 2 uMarketplace Suite. The extension generates purchase orders automatically on the basis of customer sales orders. As a result, a huge part of boring backend routine is eliminated. As for other processes, they take place in Vendor Portal – a convenient interface where vendors can add/edit products and images, assign categories, manage attributes, work with inventory, configure everything related to shipping, communicate with both store administrators and buyers, as well as update account data. All these and other opportunities (orders management, shipment tracking, shipping labels and packing slips creation, etc) provided by Vendor Portal are described in the frontend section of our overview. Moreover, there is a Vendor Vacation mode – a state of a vendor account when all products are temporarily suspended. As for store administrators, they can fully control vendor registration as well as products added to vendor accounts. Note that it is possible to enable automated product approval for specific sellers. Besides, the Unirgy Magento 2 uMarketplace module allows managing customer to vendor communication. The appropriate section is available in the backend. Flexible commissions are also a great feature of the extension. You will see how effective this aspect is in the backend section of this post. And note that nearly everything can trigger notifications if you use uMarketplace. It is a very useful feature since each multi-vendor marketplace is a complex structure, where everything can be lost. With notifications, admins, vendors, and buyers will always know about important things that happen on your ecommerce multi-vendor website. For further information on product’s features, follow the link below this post. We’ve covered only key aspects of the extension here, but more details are described below. Therefore, let’s proceed to the aforementioned add-ons. Responsive Vendor Portal Theme ($199). With this add-on, you provide sellers (vendors) with a mobile-friendly interface for managing their vendor accounts. The theme is fully responsive, has a modern look and feel, and provides on-the-go management of all processes that occur within the store. Vendor Bulk Product Upload ($390). The name of this multi-vendor marketplace addon speaks for itself: it enhances vendor portal with the ability to upload multiple products in bulk. With this feature, you make your Magento 2 marketplace more appealing to customers. There are many more features available with the addon, so don’t hesitate to visit the extension’s page on the Unirgy website. Vendor Promotions (Free). With this free add-on, your vendors will be able to create and manage various promotions on the basis of coupons. Vendor Minimum Amounts (Free). This tool has two purposes. First of all, it allows to set up a minimum order amount per vendor. Secondly, you can use it to setup minimum amount that enables free shipping. Vendor Membership (Free). With this addon, you will be able to charge vendors for selling in your marketplace. Note that multiple levels of membership with different fees and product limitations can be created. Vendor Ratings ($290). After installing this addon, you will provide buyers with the ability to review and rate vendors. Furthermore, the tool is able to send automatic reminders. Price Comparison ($390). This addon dramatically improves the shopping experience in your marketplace by comparing prices for the same product provided by different vendors. Vendor-defined shipping amounts can be compared as well. Select and Sell ($390). This improvement is oriented towards vendors. The addon allows to select products from the list of items already available in the marketplace and add them to the vendor account modifying various parameters. AdvancedPO ($290). This addon introduces Flexible PO management workflow. For further information, check the official extension page. Payout ($290). Generate vendor payouts manually or configure a fully automated procedure. Note that custom payout methods can be created. Vendor Direct Pay – Paypal Adaptive (Free). This addon lets you use Paypal Adaptive chained payments, so a single customer payment may be automatically split among multiple vendors. Vendor Tax (Free). After installing this tool, you will be able to manage taxes on per vendor or per vendor location basis. Vendor Questions ($290). The addon allows shoppers ask product questions right from a product page. Admins can take part in the communication between shoppers and vendors. uReturns ($290). Fully configurable RMA process. While it is vendor-direct, admins can control it. Vendor Ship-To Location Limit ($290). Create geographical shipping zones and let vendors choose zones they are going to sell products to. Alternatively, the Unirgy Magento 2 uMarketplace Suite extension allows you to limit vendors to specific zones manually. MicroSite Pro ($390). Allow vendors to create landing pages with various information about their business. Each microsite can have a unique theme. MultiVendor ($290). This is a must-have add-on that adds an extra layer of personalization. Install it, and you will be able to manage multiple vendors per product and vendor-specific SKUs as well as change vendor per order items even when the order is already placed. Batch ($290). Advanced import/export functionality + custom CSV templates per vendor. SplitRate ($190). This addon allows to split products by vendor right in the shopping cart and then apply different shipping methods for newly created product groups. Stripe Integration (Free). The name of this add-on speaks for itself: it allows to connect your Marketplace to the Stripe payment gateway making your multi-vendor Magento 2 ecommerce website more secure. These are all add-ons that can be used with the Unirgy Magento 2 uMarketplace Suite multi-vendor extension. Therefore, let’s proceed to the module’s backend section. Let’s start our backend exploration with the Configuration section. There are hundreds of options that can be configured here, so we will shed light only on some key settings. Since vendor membership is one of the key aspects of a multi-vendor marketplace, let’s take a look at its configuration. Unirgy Magento 2 uMarketplace Suite has the appropriate page under Stores -> Settings -> Configuration -> Sales -> Vendor Membership. Here, you can create multiple membership types. Specify code and title of your new membership type, select a billing type, specify limits (you can limit products and enable/disable microsites and the type on the registration form), and set a sort order. As for the registration form, it is fully customizable. You can add fields to top and bottom wide as well as left and right fields. Each field can be selected from a drop-down list. Note that you can make it required and specify a custom label and URL. Another tab related to the configuration section we’d like to draw your attention to is called Vendor Products Edit. It is divided into 5 sections: General, Notifications, Template SKU, Vendor Product Edit Form, and Add Product Options Layout. In the General section, you can allow vendors delete products, explicitly show media gallery in a configurable product, make gallery uploads required, add/edit custom options, prefix vendor created products’ SKUs with a vendor ID, generate SKUs of vendor created products automatically, and check vendor SKU is unique within vendor products. As we’ve mentioned above, the Unirgy Magento 2 uMarketplace Suite provides you, as a Magento administrator, with a complete control over vendors. The extension allows to unpublish vendor products on certain changes. For instance, a product will be hidden from the marketplace if a new image was added or the old one was removed. There is a huge list of triggers, so you will never miss an update. In order to improve vendor experience, you can show hidden categories to a vendor if the field presented on product edit form. It is also possible to enable/disable product name “is empty” check, show a vendor-specific SKU column in a vendor portal products edit grid, and turn on/off product view info tabbed layout usage. Next, you specify product types (categories) and attribute sets (subcategories). Then, allowed types of products may be selected. As for Template SKU, select Type of Product to load setting in “Product SKUs used as templates”. You can configure template SKU, attributes, and other parameters. The Vendor Product Edit Form section allows customizing the appearance of the corresponding form. You can make certain fields required, set product type limits, and choose a sort order. Note that it is also possible to create a product options layout. Select a configurable attributes layout one or separate columns), specify a title for a configurable attributes column, and other parameters. It is also necessary to tell a few words about the Vendor Questions tab. Here, you can choose statuses for both questions and answers, enable notifications, specify senders and recipients, as well as choose email templates. Note that this is not the full list of settings. The Unirgy Magento 2 uMarketplace Suite provides may more options. This Magento marketplace multi-vendor module offers a really robust configuration section that allows admins to take control over all nuances of a marketplace. To illustrate admin opportunities, let’s explore the Vendors section of the Unirgy uMarketplace Magento 2 multi-vendor module. The extension provides a grid where all vendors are gathered. The grid displays such parameters as vendor ID, name, email, user carrier, status, and tax class. Besides, you can easily find out whether a vendor is featured or not. To manage the grid content in the most friendly way, Unirgy offers a dropdown list of mass actions. You can easily apply such commands as Change Is Featured, Delete, Change Status, Change Preferred Carrier, or Change Vendor Tax Class to multiple vendors simultaneously. Also, note that it is possible to export the content of the grid in a CSV file. Besides, the same page allows you to add a new vendor. It is necessary to specify various parameters in the following tabs: Vendor Information, Preferences, Custom Data, Shipping Methods, Tire Commissions, and Shipping Rates. The Vendor Info section allows you to configure several important parameters. First of all, you can specify a new vendor name. Next, it is possible to activate a new account here. Also, select a membership type and enable/disable a microsite for the vendor. Set product limits and configure confirmation emails. Besides, uDropship for Magento 2 allows to choose a preferred carrier for the new vendor, activate rates fallback chain, specify vendor email address, and create a new password if necessary. In addition, you can specify such information as vendor telephone/fax, choose notification template, select a vacation mode, activate ‘Is Featured’, enable customers to review a vendor and specify a tax class for a vendor. In Shipping Origin Address, you can add vendor-related comments and all possible address information including street, city, zip code, country, and state. As for Billing address, you can use the same information as in the aforementioned section by enabling the corresponding feature. The Preferences tab is even larger than the previous one. Being divided into 18 sections, it provides a total control over your vendors. The sections are: Batch Orders Export and Import, Inventory Import, Integration, Customer, Statement, Payout, Shipping Labels, PDF/ EPL/ UPS/ Endicia (USPS)/ FedEx Specific, Microsite, Vendor Portal Product Edit, Returns Fedex/ Endicia/ UPS Specific. In Batch Orders Export, select export orders adapter and method, create a schedule, specify destination locations, enable/disable per PO export, specify export orders header, template, and totals template, decide whether to use an order items separate template (if yes – create a template), select statuses to run export, and specify new PO status on export. While Batch Orders Import and Inventory Import sections allow to fully configure these two import procedures, we’d like to describe the Integrations section for more details. Here, select New Order Notification Method and tock Check Method. Next, decide whether to attach packing slip to notifications, hide shipping amount in packing slip and PO PDF, attach PO Pdf and Shipping Label to notifications, and send low stock qty notifications. Type email addresses for new order carbon copy emails and specify minimum order amount and minimum order amount for vendor-specific free shipping. Configure handling fee, type, and action and specify allowed countries. Note that you can create zip code limits, limit customer ship classes, and specify initial statuses for virtual PO, PO, and Customer Shipment. It is even possible to configure such parameters as Default PO sort by in vendor interface, Default PO sort direction in vendor interface, Default RMA sort by in vendor interface, Default RMA sort direction in vendor interface, and Default PO status filter in vendor interface as well as upload a logo image here. Use Vendor specific custom text on the bottom of purchase order PDF. To configure payouts, specify their type and method, type PayPal email, select a schedule, choose payout PO status source, and specify additional details. Note that there are several sections related to PDF and specific carriers labels configuration. In Microsite, enter shop description, choose subdomain level and store base URL update parameter, specify title, meta keywords, and meta description for the landing page. Besides, you can apply a specific design by selecting a preconfigured microstore CMS page. Type default product promo title, enable “System View” menu item in vendor portal, choose websites to be limited, and enable/disable Google Analytics for the microsite. Besides, it is possible to decide what account (Global or Vendor) to select for returns in case of FedEx, Endicia, and UPS. In Custom Data, you can add information about your new vendor. The Shipping Methods tab provides a grid with possible methods. Specify estimate and override carriers and the number of days necessary for transit. The Tier Commission tab allows selecting a commission fallback lookup method. Next, there is a grid with rates for each category. Specify commission percent per item or fixed rate per item. Select a fixed rate calculation type, a default commission percent, and old transaction fee. Choose a rule for fixed rates and add rule-based fixed rates. In Shipping Rates, you activate vendor specific rates. 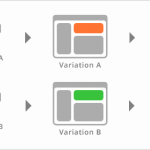 Select delivery type to set up rates and configure rates: select a country and a condition name, specify condition parameters, and set a sort order. If you are editing an already existing vendor, three more tabs are available: Associated Products, Customer Questions, and Customer Reviews. Under each tab, there is a gid with the appropriate data that can be edited by the marketplace administrator. Thus, Unirgy Magento 2 uMarketplace Suite provides the most detailed and powerful vendor management section we’ve ever seen. 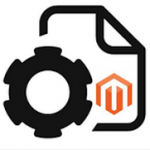 Now, let’s proceed to Vendor Portal and illustrate the opportunities of this Magento 2 marketplace module even more. The frontend part of the Unirgy uDropship Magento 2 module also deserves lots of time to be explored. As a vendor, you get 10 tabs in a vendor account: Orders, Returns, Import Stocks, Import Tracking, Stock and Price, Product Manager, Select & Sell, Customer Questions, Promotions, and Settings. Let’s start our journey from the last one, since there, you can configure various vendor-related information. Account Information, where you, as a vendor, can configure name, email, password, telephone, and vacation mode (select a mode and specify when the vacation ends). Shipping Origin Address and Billing Address – for various address data. Note that you can use the same information for billing and shipping addresses (set “Same as Shipping” to “Yes”). 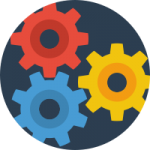 Integration – a place for configuring a URL key and uploading a vendor logo. Shipping Labels – select dimension units and specify default package length, width, and height. Microsite – add a title to your landing page, specific meta keywords and description, type a short description, and set a default product promo title. Now, when you know, how to configure a vendor account, let’s return to its first tab – Orders. Here, you can view all orders, apply mass actions and change order statuses after applying changes. Each order can be expanded, so you can get all the necessary information without reloads within just one click. The same is about the Returns tab. The Import section consists of the minimum settings. Specify 3 fields (SKU, Stock QTY, and STOCK Status), select field delimiter and enclosure, and choose a file with stock data. With this minimum of settings, you will get all the necessary updates within just a few clicks! As for Import Tracking settings, they are even more minimalist. Under the Stock And Price tab, you can find a grid with products which is divided into 5 columns: System SKY, Product Name, Vendor SKU, Vendor Price, and Stock Qty. Note that it is possible to change the content of three last columns. The Product Manager tab allows to view and delete existing vendor’s product as well as add new ones. Next, you can add a simple product or a product with options. In the second case, add product name, description, and options as well as upload product images. In Select & Sell, you can find products by typing query or browsing categories. It is necessary to create your own products to use this tab. In Customer Questions, you can view what product or order they are linked to and whether they are replied. Besides, this section Displays a customer name and questions as well as a corresponding answer. The Promotions grid displays promotion name, coupon, date start, date expire, and status. To add a new promotion, specify its name, description, status, uses per coupon, coupon code, uses per customer, and from/to date. Next, create conditions and specify actions-related parameters. In Apply, you can choose promotion type (percent of product price discount, fixed amount discount, fixed amount discount for the whole cart, buy x get y free), specify discount amount, maximum quantity the discount is applied to, and discount quantity step (if necessary), as well as enable/disable free shipping and discount on shipping amount. The last part of this section allows creating conditions to make your promotion more precise. Unirgy Magento 2 uMarketplace Suite is incredible. This is the most powerful Magento 2 marketplace extension that exists in the ecosystem. Yes, it costs a lot (especially with all add-ons enabled. Yes, it is a very complex solution with lots of settings, but it is totally worth its money and time required for the configuration. If you are looking for a fully controllable multi-vendor marketplace Magento 2 extension, you have only one item to choose: Unirgy Magento 2 uMarketplace Suite. If you are looking for something more budget-friendly, check MageArray Multi Vendor Marketplace or AheadWorks Marketplace.